Stay safe while going out at night - if you're in doubt with a beverage, discard it! Dorm Co. Tip: Stay safe while going out at night! Going out at night? 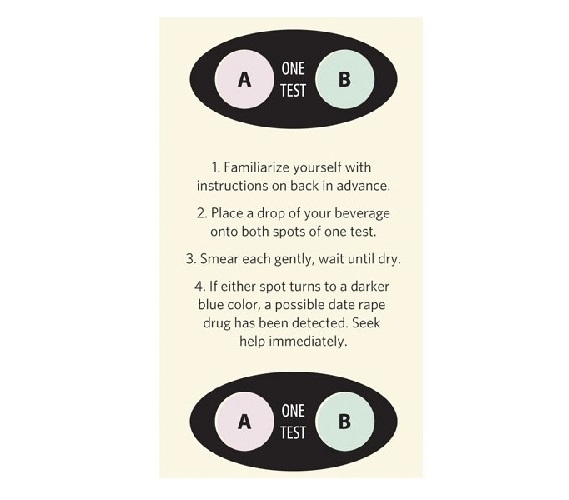 Don't go out without our Drink Test Kit with you! Dorm Security and safety is about more than putting a padlock on your dorm trunk and bolting down your dorm laptop. Dorm Security is mostly about making sure you are safe in your college dorm room and while out at night. These dorm essentials are quite small but are cheap dorm supplies that you don't want to go to college without. When you're stacking up on extra college supplies like making sure you have quite a few extra college pillowcases, make sure you have a few of these Drink Test Kit Booklets in your dorm room storage. 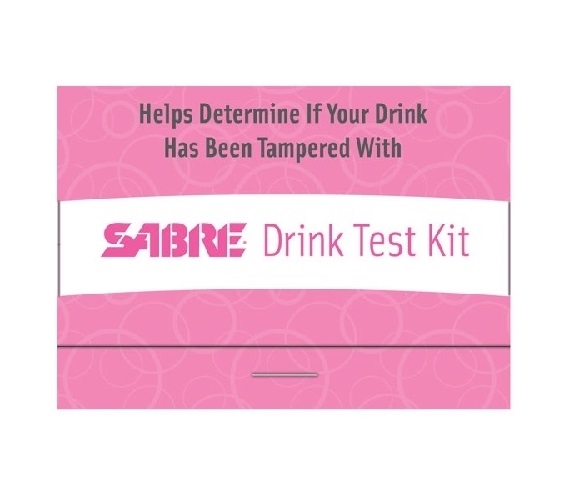 Our Drink Test Kit is quite small and also a dorm necessity that can easily fit into your wristlet, purse, or even your pocket when you go out at night. 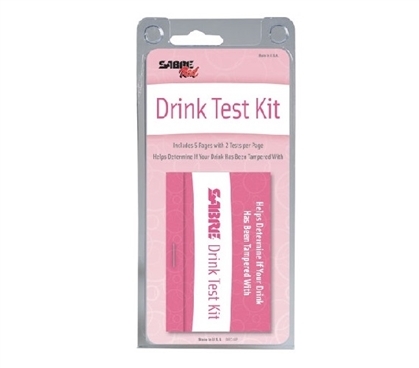 This dorm essential Drink Test Kit is compact so it's going to be inconspicuous and each kit contains 10 drink tests (2 on each page) that detect the presence of Ketamine and GHB. So how does it work? Place a few drops of the beverage on each circle in the test area and wait until the drops dry. If the drops turn a dark blue color, then you need to throw out that beverage! Don't go out at night without this dorm necessity, and remember that if you're in doubt over your beverage, then throw it out!